Snap points are at 66mm and 87mm. These refills DO NOT fit Fisher Space Pens other than the multifunction pen. 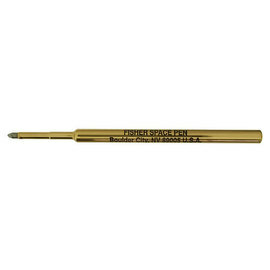 The Fisher Space Pen 'Universal' refill fits the Fisher Q4 multifunction pen and most other makes of multifunction, and, all pens that accept a standard D1 refills. This refill is designed to snap to length at 66 & 87mm with a total 'unsnapped' length of 96mm, it is 2mm in diameter. This refill does not fit any pen other than the Q4 in the Fisher space pen range, for these pens use the 'standard' space pen refill below. Delivery was prompt, article was just what I ordered. The 'fine' writes (or draws) a good fine line, the med is a bit thick for my tastes. 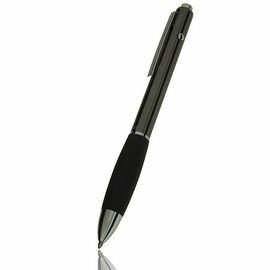 I give these away as christmas presents, and even if I put the refill in a random pen, they are very much appreciated. I adore them, despite wishing the colours were a little more vivid- that's just a matter of personal taste and nothing to do with the quality, which is awesome and reliable. Best prices. Great speedy delivery. What more could you want. The shortest length of this refill is 66mm - just slightly shorter than standard mini ball pen refills which are 67mm.